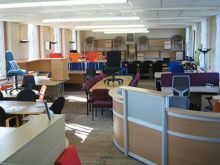 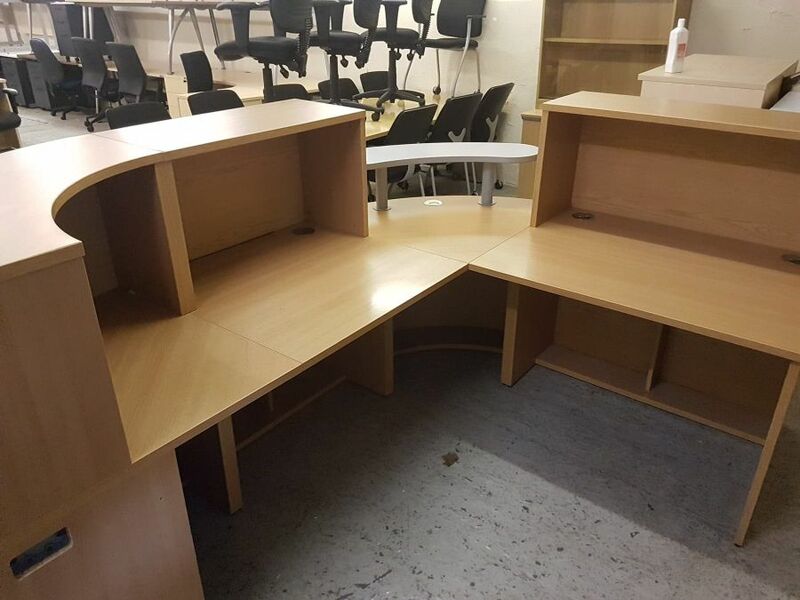 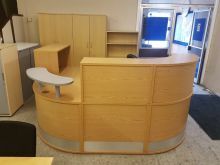 At Office Set Up we have an impressive selection of new and used/second hand reception desks. 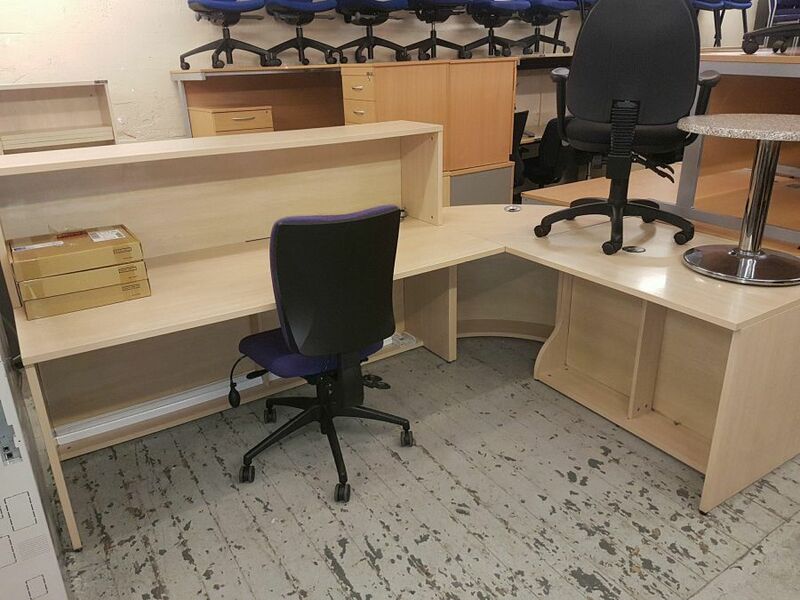 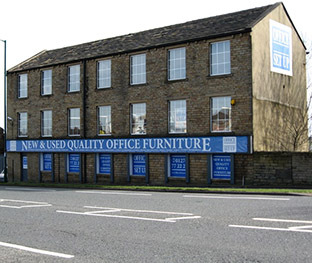 We offer free delivery and discounts for quantities on most of our furniture and seating. 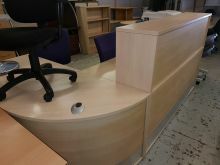 Right handed Maple reception desk with desk-over to the main section.